April Fool’s Breakfast was posted on March 31st, 2012 and is filed under Breakfast, Kid Friendly. This entry has 10 comments. You can follow any responses through the RSS 2.0 Comment Feed. 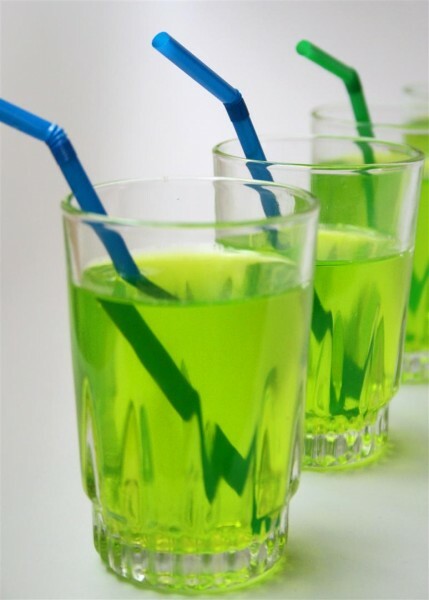 The common North American parent serves juice to their kids at breakfast. Sometimes orange juice. Sometimes cranberry juice. 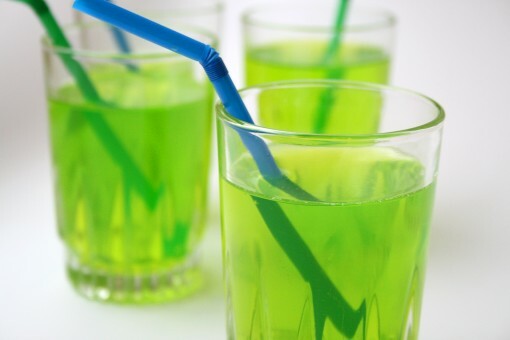 Maybe a green apple drink? Oh wait. It’s not juice?! 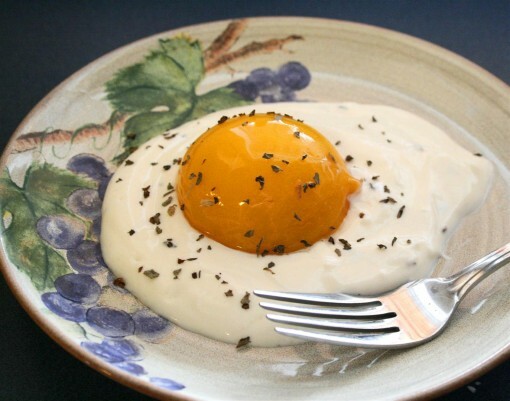 Well, how about a fried egg for breakfast instead? It’s fruit-flavoured Jell-O and no, it’s not healthy. However, life is about balance and the little ones will flip at the prospect of having Jell-O for breakfast! Plus, they’ll totally get a kick out of your little prank. Red or orange Jell-O might be more convincing than bright green, but I wanted to use a sugar-free version which is why I used the radioactive looking green kind. 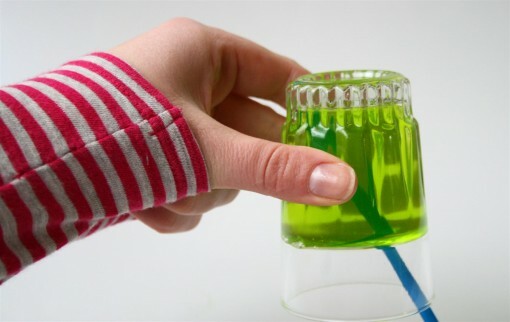 Simply stick a straw into a Jell-O filled glass before it sets. I saw this idea hanging around the web, so I thought it’d be fun to try! As a kid, I always tried to play pranks on April Fool’s Day, but they were never very clever. I smeared Vaseline on doorknobs, switched the salt to sugar, told people convincing lies and confessed at noon, and hung paper spiders above my sister’s bed. Cute little pranks, but nothing earth shattering or original. Well, today I’m playing floor hockey all day in a tournament, so I need to rush off! Hopefully I’ll have enough energy to last all day, since I had about 4.5 hours of sleep. (grin) That’s life! Hope you have an awesome April Fool’s Day tomorrow! Do you play pranks on people on April Fool’s? What’s the best prank you’ve pulled? That’s adorable! Happy April 1st! Hahaha, too cute! That egg is great, I’m going to have to try that soon on an unsuspecting family member.